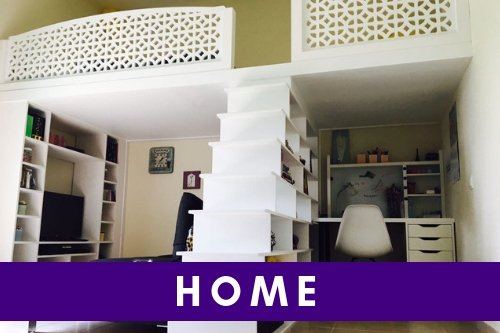 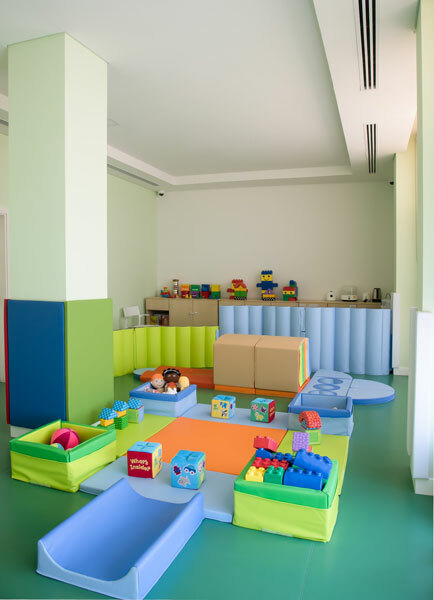 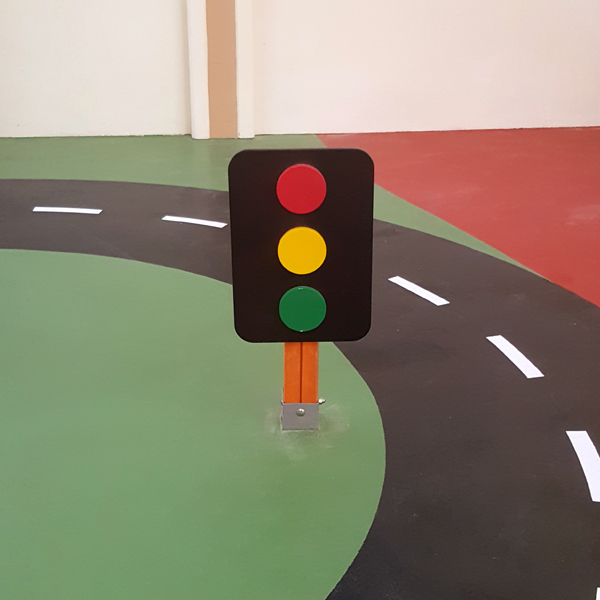 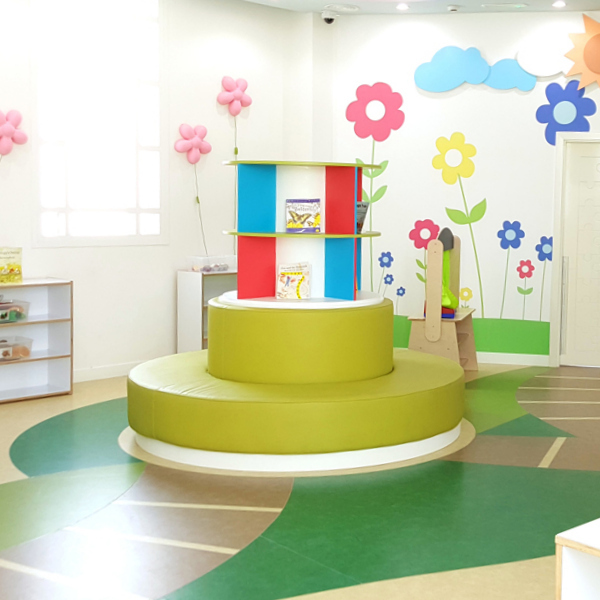 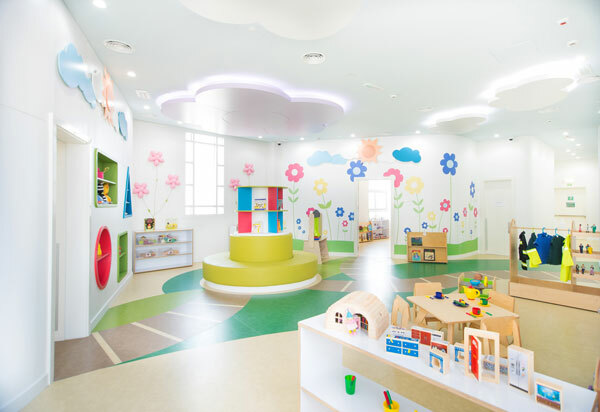 MindChamps Nursery is located in the architecturally stunning location of Bloom Gardens in Abu Dhabi, the hub of culture and arts in the UAE. 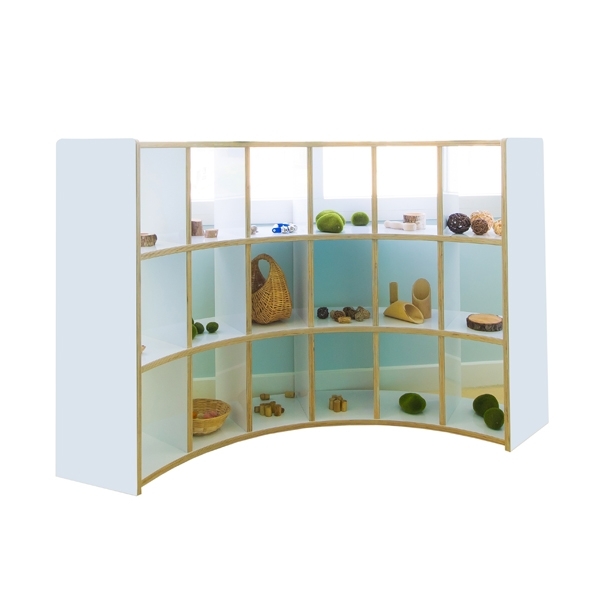 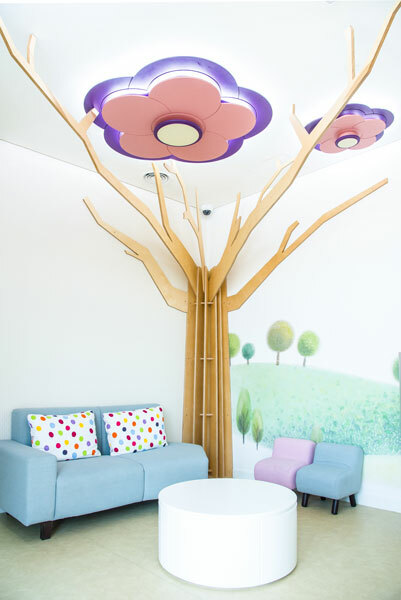 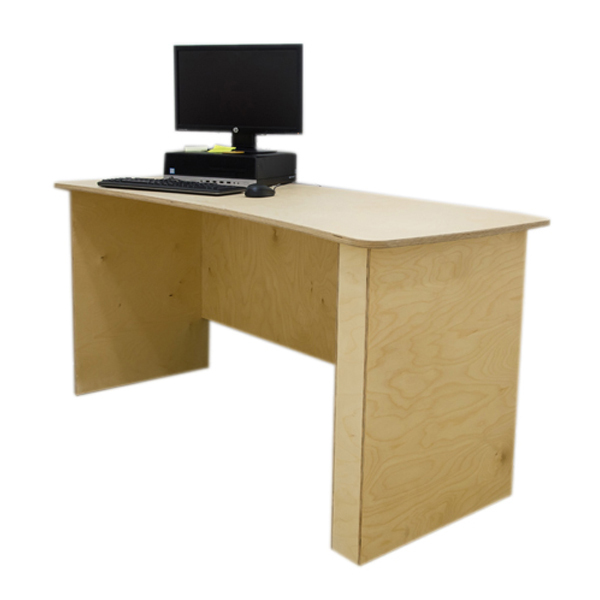 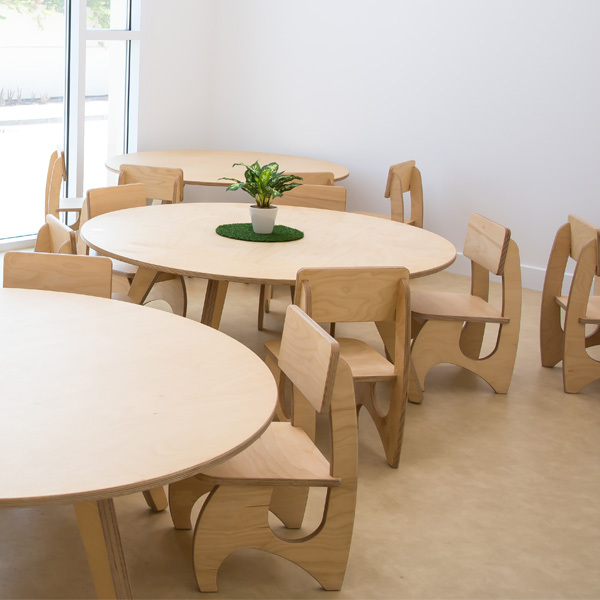 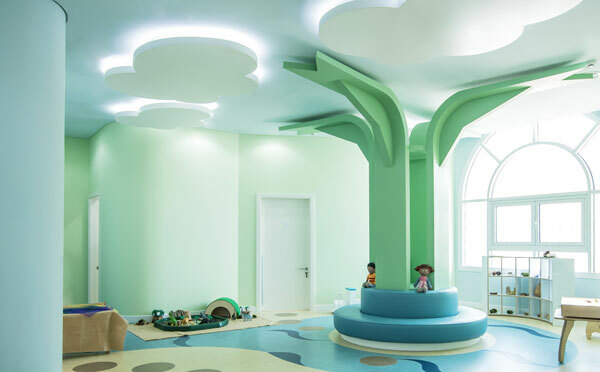 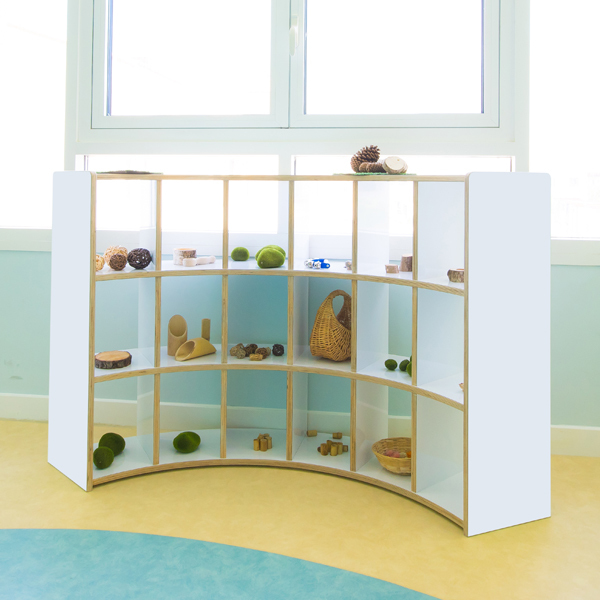 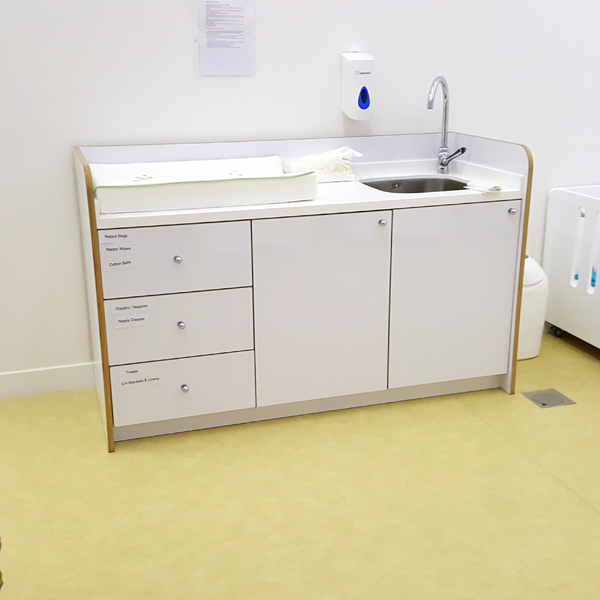 MindChamps hired Moon Kids to design sleek, elegant and modern furniture for the nursery’s interior, created to equal the beauty of the exterior grounds. 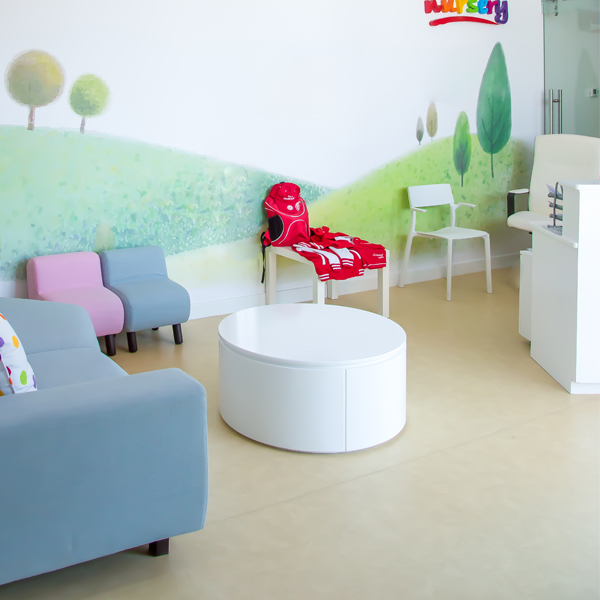 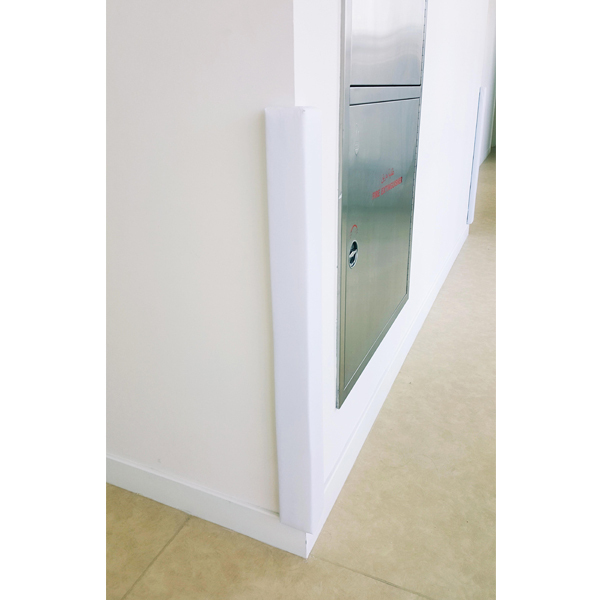 Comfort is essential for little ones to maximise their ability and motivation to learn. 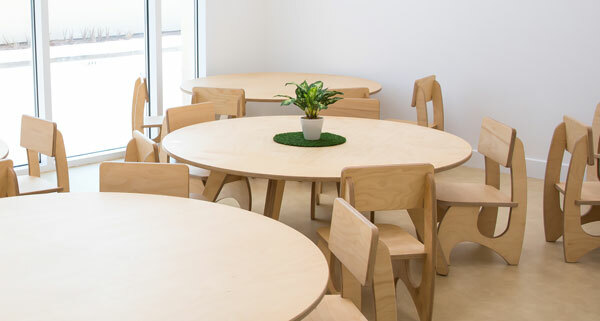 The Moon Kids round and square table and chair sets meet all their ergonomic needs whilst adding a polished and clean look to the otherwise functional environment. 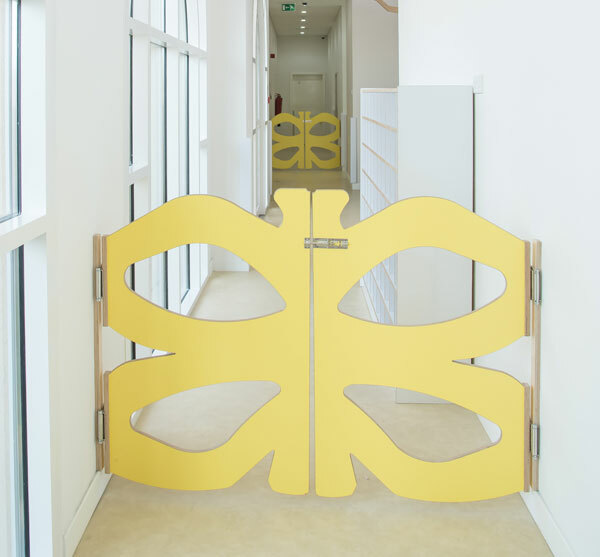 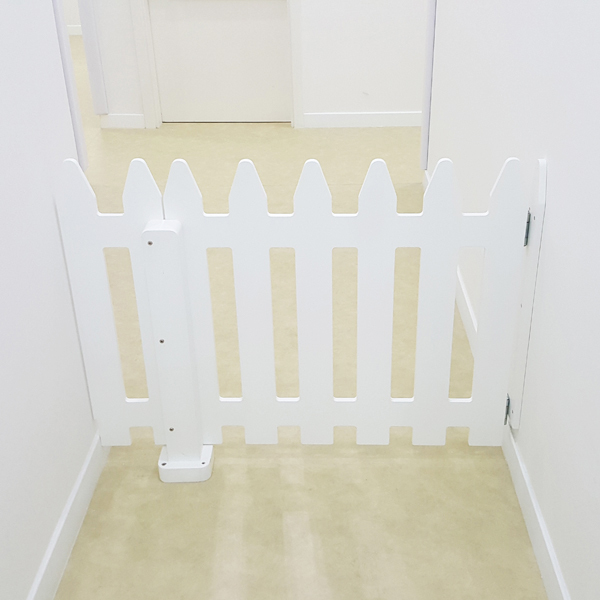 The fun and whimsical butterfly gate is the ideal segregation solution to keeping wandering kids in place. 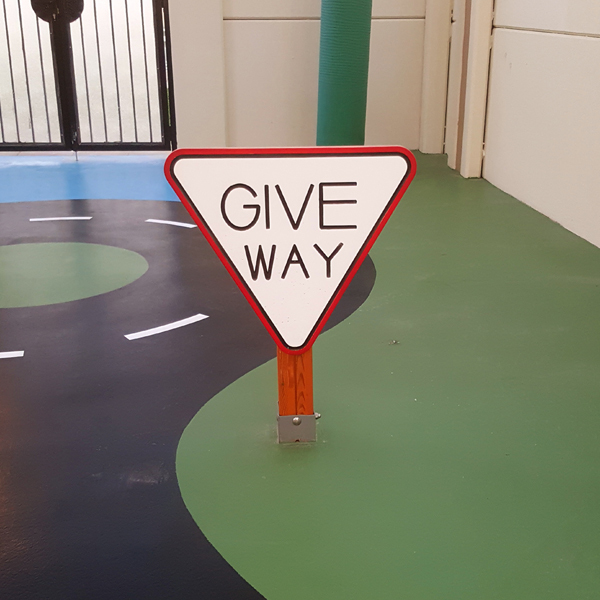 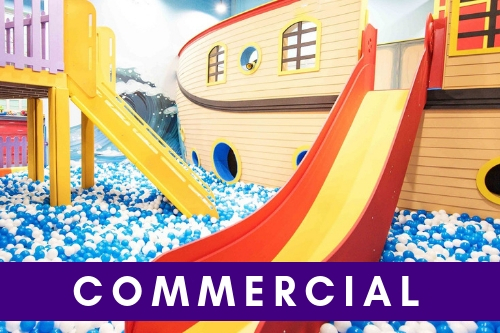 The Moon Kids soft play area has been custom designed to keep small bodies active with challenging multi-sensory equipment including bridges, tunnels and building blocks. 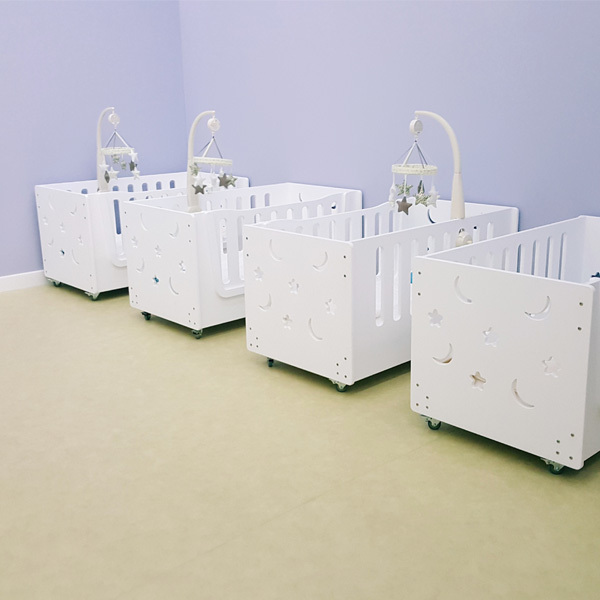 The visually stunning, movable Moon Kids cribs have delicate moons and stars decorations that turn a child’s sleeping place into dream inspiring haven. 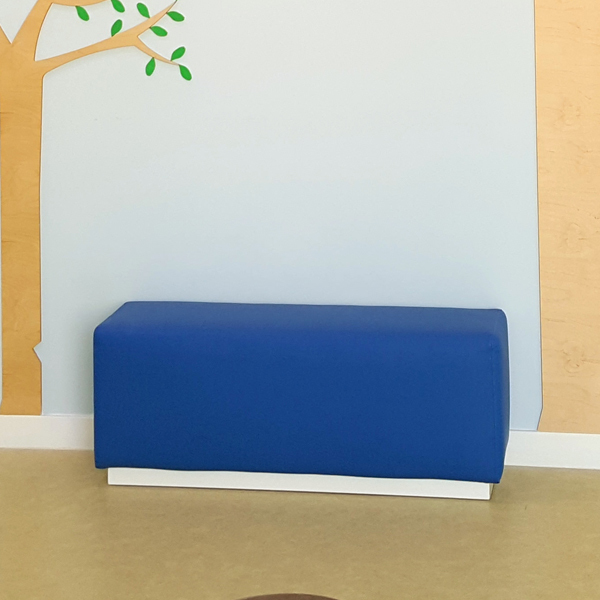 Our Wooden Tree Bench has plenty of padded seating and central storage making it a fantastic place for story time to truly bring Fairy-tales to life and to inspire a life-long love of reading. 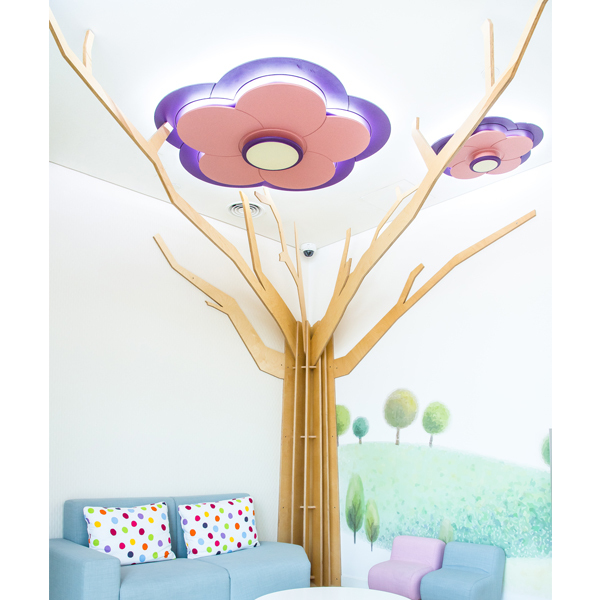 The Corner Tree makes a spectacular focal piece adding a sense of drama and surrealism to any room.